Gail Zirkelbach is a partner in Crowell & Moring's Government Contracts Group and resident in the Los Angeles office. She also serves as a member of the firm's Government Contracts Group Steering Committee and as a vice-chair of the firm's Investigations Practice. Gail's practice focuses on internal investigations, defense of fraud actions, and counseling aerospace and technology companies and operators of DOE laboratories in all government contracts and compliance areas at the federal, state, and local levels. A leading government contracts attorney for more than 30 years, Gail concentrates her work on the defense of qui tam actions under the False Claims Act, conducting internal investigations, in the U.S. and abroad, and assisting clients with the development and implementation of compliance programs. She litigates at the federal and state levels and at the Boards of Contract Appeals, U.S. Court of Federal Claims, and U.S. Court of Appeals for the Federal Circuit. Her knowledge of both government contracts law and litigation strategy and technique enable her to conduct investigations and litigation effectively and efficiently. She has negotiated successful settlements involving complex legal issues with both governmental and private entities. Gail also assists clients with defective pricing and termination cases, bid protests, and mergers, acquisitions, and other complex transactions, and counsels clients on intellectual property, cost accounting, cybersecurity, export, and compliance issues. Gail serves as the co-chair of the American Bar Association Section of Public Contract Law Procurement Fraud Committee and is the co-editor of the ABA's treatise on the False Claims Act. "Special Compliance and Ethics Considerations for Contractors," Government Contracts "101" - Back to Basics, Washington, D.C. (October 26, 2017). Presenters: Trina Fairley Barlow and Gail D. Zirkelbach. 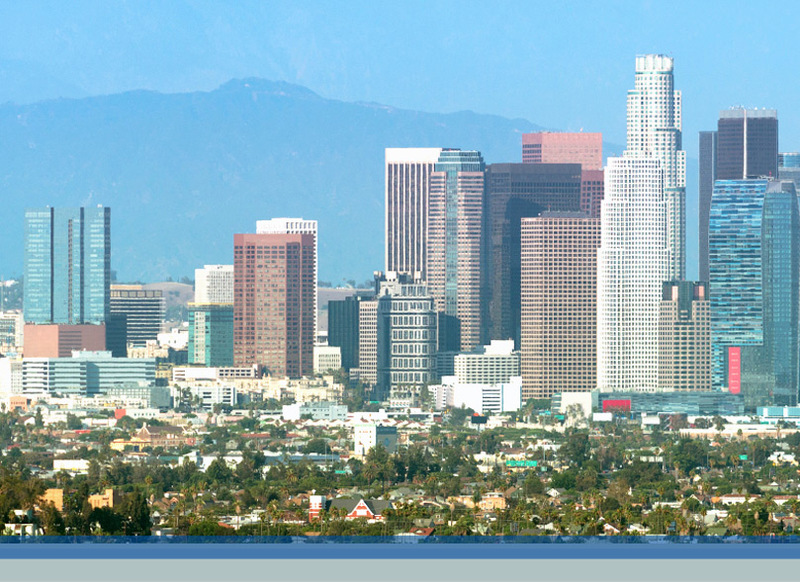 "Procurement Fraud," 3rd Annual Qui Tam Conference, Los Angeles, CA (November 4, 2016). Presenter: Gail D. Zirkelbach. "Legal Superheroes: Saving the Company!" ACC-San Francisco Bay Chapter Inaugural Compliance Day, Burlingame, CA (June 17, 2016). Presenters: Gail D. Zirkelbach, Jeffrey H. Rutherford and Kelly T. Currie. "How Recent Court Decisions Will Affect Your Pending False Claims Cases," ACI Contract & Procurement Fraud Conference, Washington, D.C. (July 29, 2015). Presenter: Gail D. Zirkelbach. "Doing Business in Regulation Rich California," OCBA's Corporate Counsel Section Meeting, Irvine, CA (June 17, 2015). Speakers: David J. Ginsberg and Gail D. Zirkelbach. "Subpoenas and Investigations-Hits and Misses," 21st Annual Federal Procurement Institute, Annapolis, MD (March 12, 2015). Moderator: Gail D. Zirkelbach. "Is this the End of the Attorney Client Privilege and Internal Investigations: Has Barko Permanently Changed How Companies Should Proceed?" Advance Forum on False Claims Act and Qui Tam Enforcement, New York, NY (January 21, 2015). Presenter and Conference Co-Chair: Gail D. Zirkelbach. "Government Contracts," Silicon Valley Association of General Counsel 26th Annual All Hands Meeting, Santa Clara, CA (November 7, 2014). Presenter: Gail D. Zirkelbach. "Opportunities and Risks of Doing Business with Federal and State Government," Aerial Firefighting Conference (March 2014). Presenter: Gail D. Zirkelbach. "Self-Governance: A Discussion on Ethics & Compliance in Aerospace & Defense," 2013 NCMA Aerospace & Defense Training Forum (March 14, 2013). Presenter: Gail D. Zirkelbach. "2012 Western Briefing Conference: A Review and Outlook" (December 6, 2012). Presenter: Gail D. Zirkelbach. "Inside the Bid Protest Process at the Court of Federal Claims, Acme Aircraft Company v. United States," United States Court of Federal Claims Western Conference of the Bench & Bar (October 18, 2011). Presenter: Gail D. Zirkelbach. "Effective Federal Contract Compliance and New Mandatory Disclosure Requirements Under the Federal Acquisition Regulation (FAR)," Federal Contracts: Introduction to Procurement and Compliance, CLE in Colorado, Inc. (June 29, 2009). Presenter: Gail D. Zirkelbach. "Various Avenues for Protecting Your Intellectual Property Rights," Reaching New Heights in the Development and Use of Intellectual Property in Government Contracts, American Bar Association (November 2, 2007). Presenter: Gail D. Zirkelbach. "The False Claims Act and Government Contracts: The Intersection of Federal Government Contracts, Administrative Law, and Civil Fraud," ABA Book Publishing (2017). Editor: Gail D. Zirkelbach. "Broad Contractor Whistleblower Protections Are Here To Stay," Law360 (March 29, 2017). Authors: Gail D. Zirkelbach, Jason M. Crawford, and Mary Kate Healy. "Valentine’s Day Disappointment for FCA Practitioners Hoping for a Ruling on Stat Sampling ," Crowell & Moring's Government Contracts Legal Forum (February 22, 2017). Authors: Gail D. Zirkelbach, Jason M. Crawford, Mary Kate Healy and Stephanie D. Willis. "4th Circ. Suggests FCA Extrapolation Is Evidentiary Issue," Law360 (November 4, 2016). Authors: Gail D. Zirkelbach, Jason M. Crawford, and Mary Kate Healy. "FEATURE COMMENT: How to Protect Internal Investigation Materials from Disclosure," The Government Contractor, Vol. 56, No. 14 (April 9, 2014). Co-Authors: Andy Liu, Gail D. Zirkelbach, and Jonathan Cone. "Pentagon Looks to Silicon Valley for Innovation," Government Contracts Bullet Points (April 24, 2015). Contacts: Gail D. Zirkelbach, John E. McCarthy Jr.